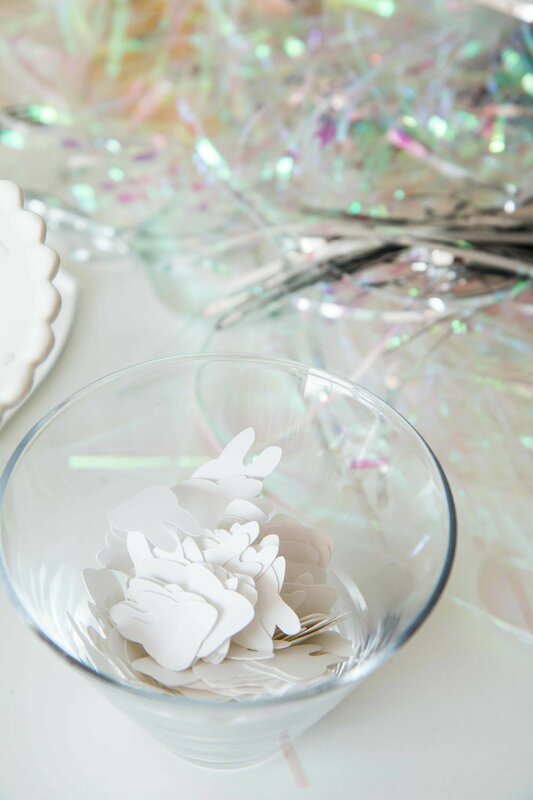 There are so many milestones in a child’s life, especially when they are young. We don’t celebrate every single one but some...deserve a little extra attention. The first time my older son lost a tooth, we sat down with him and wrote a letter to the tooth fairy. He was so excited. 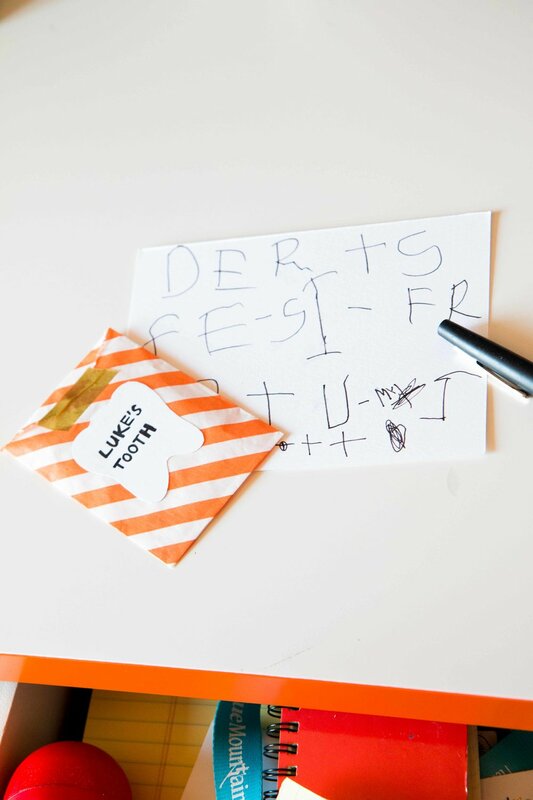 He couldn’t wait to get that letter + tooth under his pillow and wake up the next morning to see what she left him. After the first tooth, he was always eager to see what the tooth fairy would leave but the novelty wore off pretty quick making me realize just how special losing your first tooth is. 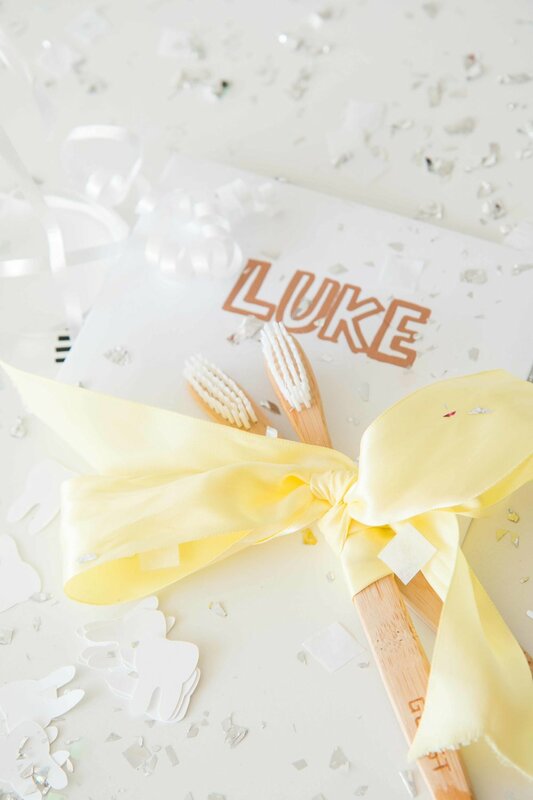 Last week, my younger son, Luke lost his first tooth and he followed in his big brother’s footsteps by writing a letter to the tooth fairy to leave with his tooth under his pillow. This time around…I wanted to make the experience of the tooth fairy’s first visit magical with some help from Balloon Time. That night I tucked him in tight and when he was sound asleep I got a hold of the envelope. The next morning I set my alarm for an early wake up and pulled out the Balloon Time Standard Helium Kit that I keep stored in my craft closet. 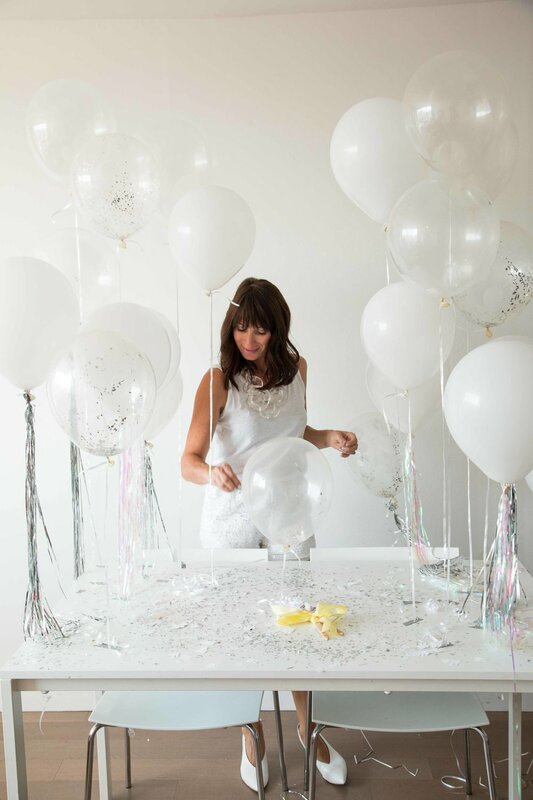 I had a stash of white and clear balloons and to make them “magical” I filled the clear balloons with tooth shaped confetti as well as shiny silver confetti. 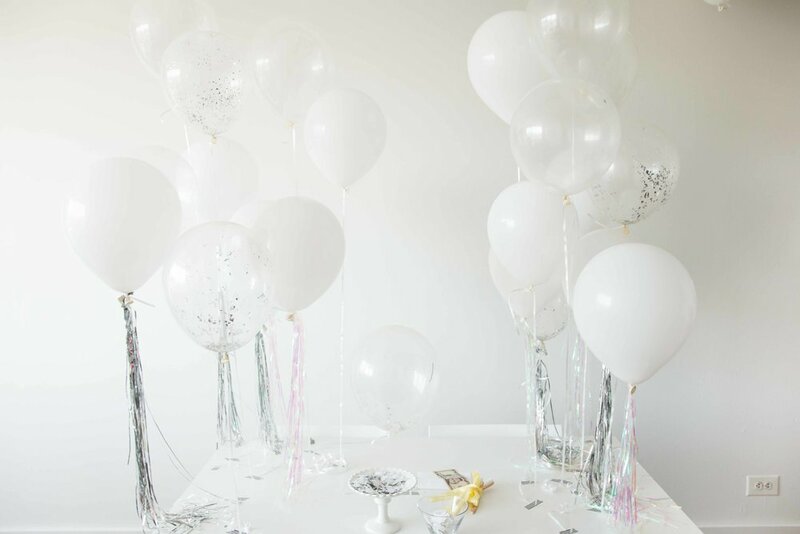 I blew up a dozen or so balloons with my Balloon Time helium tank and taped them all over the breakfast table adding metallic fringe to the tails of some of the balloons for some added glitz. 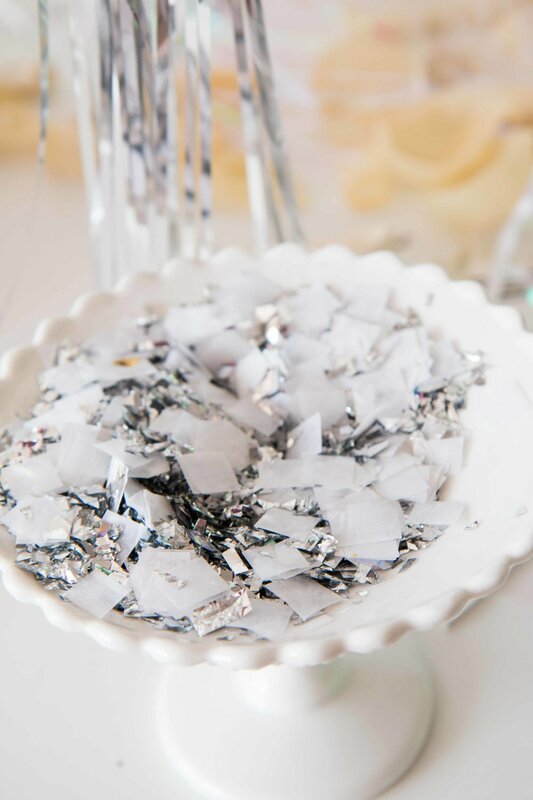 I also sprinkled confetti “fairy dust” all over. 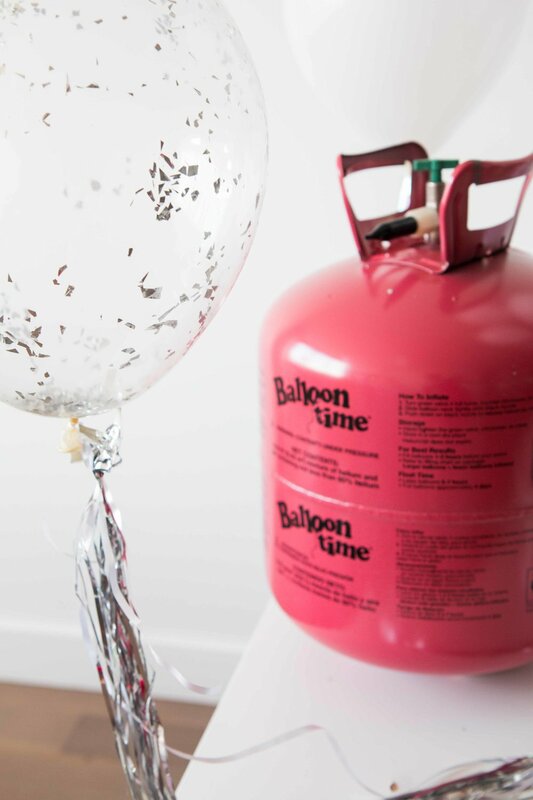 You NEED a Balloon Time Helium Tank on hand to setup little celebrations like this! When Luke woke up he yelled, “Mom! My tooth is gone! But there’s nothing here for me!” I told him to come on in to eat his breakfast because it looked like the tooth fairy did something extra special for the loss of his first tooth…. He was in awe. He also found an envelope along with new toothbrushes on the table and tore into it to find a $5 bill. He squealed with delight. The setup took me no more than about 20 minutes and that look on Luke’s face will be in my memory forever. This was a celebration so worth having.